A number of my fellow sellers over at Zibbet are having Christmas in July sales right now. Yet as I sit here in the sweltering heat of July, I’m just not feeling it. And honestly, why make up a holiday for this month when Eid is only a few short weeks away! Then I saw this design on someone’s website for a pipe cleaner snowflake craft and I was struck with how Arabesque the design looked. I asked my daughter to help me turn the paper design into this window decorative cling. 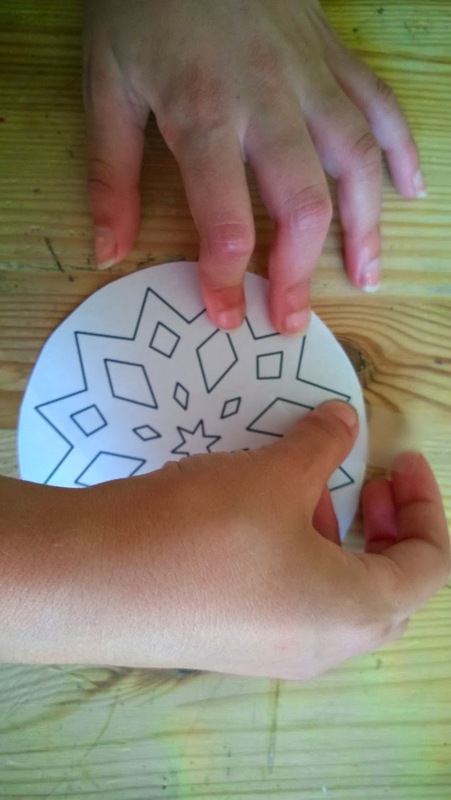 Maybe next January we’ll turn the same design into a pipe cleaner snowflake craft, but for now, bring out your glue and let’s take advantage of all this summer sunshine to spruce up your windows for Ramadan. Tape down your design so that things don’t shift later. 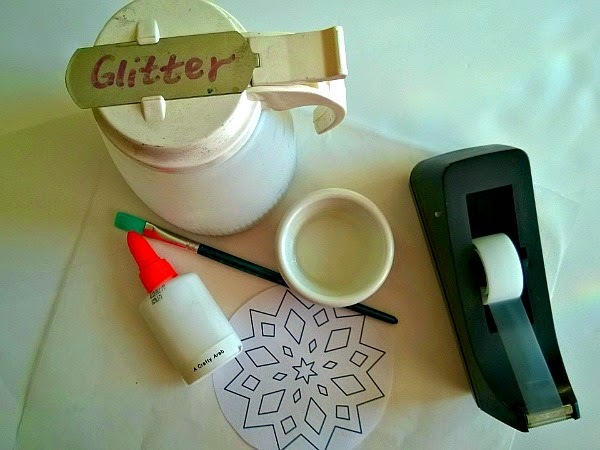 Place your wax paper on top of your design and tape down your wax paper. Heavily apply glue to the areas in between the black lines. If you get a little bit of glue inside some areas that you want to stay clear, just use your fingernail to clean it off. 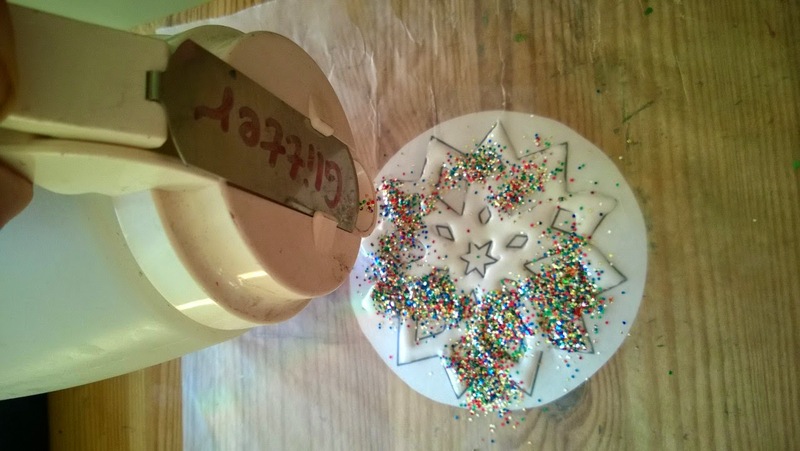 Generously pour glitter over the entire area. 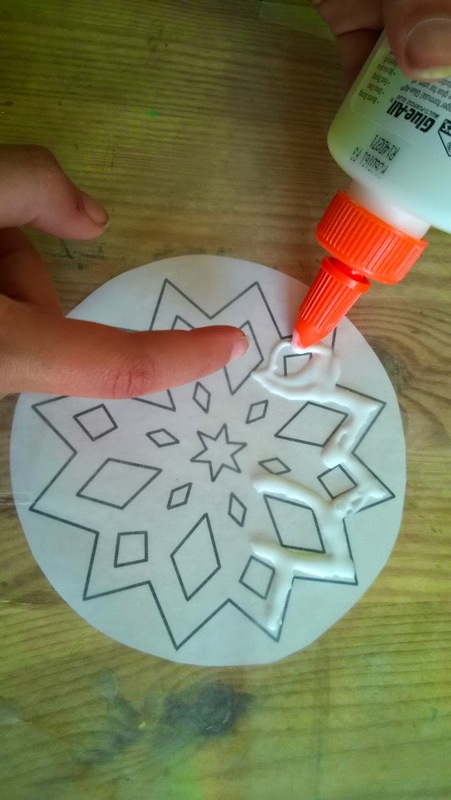 Make sure you can’t see a single area of white glue. Wait for about half an hour and then come back and take the tape off the wax paper. 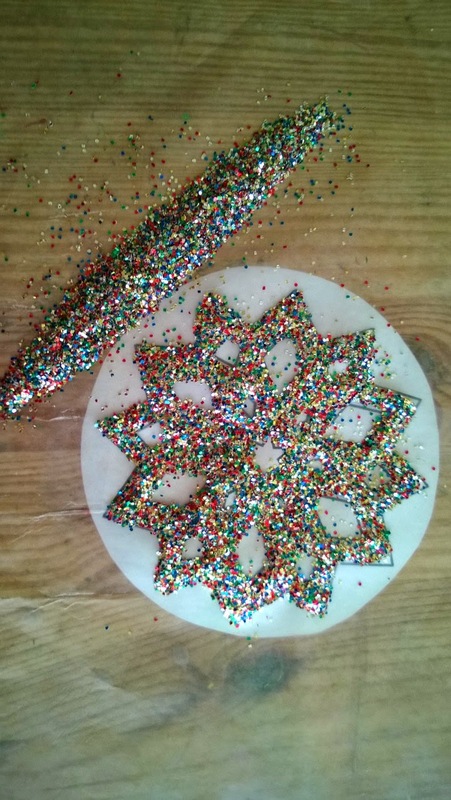 Pick up two sides to remove the excess glitter. 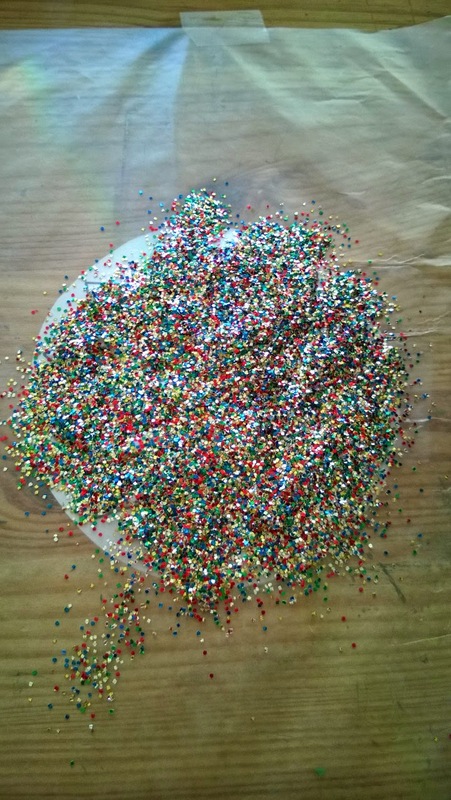 Let the glue and the glitter that stuck sit for another 24 hours. Remove your arabesque window cling off the wax paper and apply a little water with the paintbrush to the underside to make it cling to your window. To see more tutorials, visit A Crafty Arab on Pinterest.